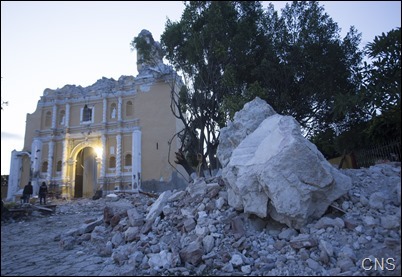 Certainly, this past week has been a very difficult time, with so many catastrophic events afflicting our planet — the very powerful hurricanes in the Caribbean and the terrible earthquake in Mexico. 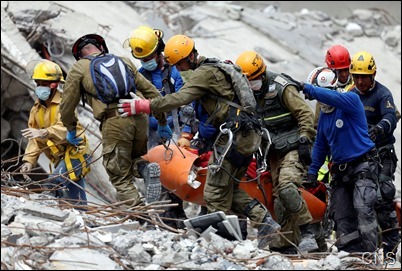 These have been great human tragedies, and we pray for all those who are suffering in their aftermath. 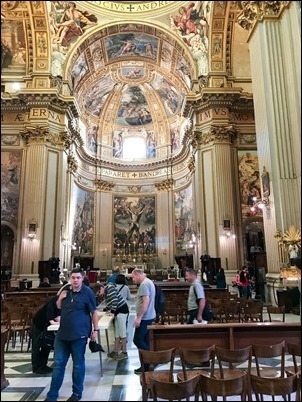 As I mentioned last week, I am currently in Rome and I was recently speaking to a Mexican bishop here who related to me that those in the area of the earthquake are certainly undergoing great hardship, but that he has been very encouraged by the reports of how generously people are helping each other and how the community has come together to respond to those in need. As so often happens in these tragic moments, we see the best and the worst of people. While there may be some who are looting or stealing, there will be others who are sharing their last piece of bread with their neighbor and have great courage and generosity. Also, throughout the week, I have been trying to communicate with those I know in the Virgin Islands. It has been impossible to reach people in St. Croix, but I have been able to speak to one of the priests in St. Thomas. 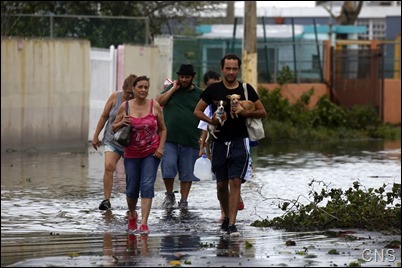 Hurricane Maria has been a very devastating for them and, of course, Puerto Rico and other islands have also suffered greatly. I understand all too well the type of difficulties the people in the Caribbean are experiencing, having been there in 1989 for the arrival of Hurricane Hugo, which destroyed so much of the island and left us six months without phones or electricity. Perhaps worse, for a long time we were without drinking water, and living on coconut milk until the U.S. Navy came to our aid with an aircraft carrier. The carrier’s desalination plant provided drinking water for the 55,000 people on St. Croix until regular service could be restored. This week I spoke to Thomas Farragher of the Boston Globe about my experiences of that time. You can read his column that was published earlier today here. 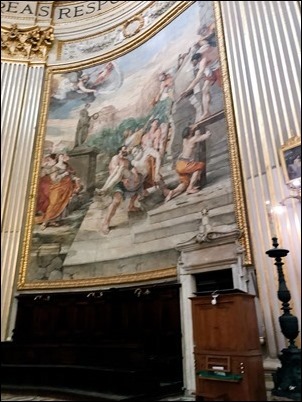 As I have mentioned, after last week’s meetings of the Council of Cardinals, I remained in Rome for meetings of the Pontifical Commission for the Protection of Minors. This is the third year of the commission and we are holding our last plenary session, which included a meeting yesterday with the Holy Father at which two of the members presented the work of the commission over the last three years. En el evangelio Jesus nos dice: “dejad que los ninos se acerquen a mi y no se los impidais.” Nuestro Senor bendecia a los parvulos y mostraba su amor y deseo de protegerlos. 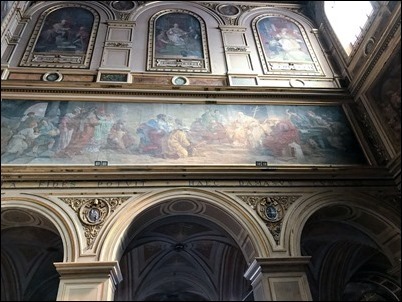 Este amor de buen pastor ha hecho nacer en su corazon un deseo de establecer esta comision para ayudarle en su gran tarea de poner la proteccion de menores entre las mas altas prioridades de nuestra iglesia. Estamos agradecidos por el privilegio de poder participar en su comision y nos alegramos que podamos hoy presentarle estos informes sobre nuestras actividades en los ultimos tres anos y escuchar su mensaje para la comision. On behalf of the members of our Commission, I wish to express our sincere gratitude for this opportunity to meet with Your Holiness. It is our privilege to serve as your advisors in such an important mission, the protection of all children, young people, and vulnerable adults from sexual abuse. 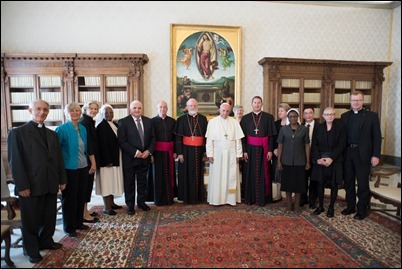 Child protection is clearly a highest priority for the Church in our time, and I wish to express from the outset, Holy Father, how personally grateful I am to serve with such competent and committed members of this Commission. Over these past four years, we have striven to fulfill the role that has been entrusted to us, promoting local responsibility at every level to ensure that our Church is a safe and secure home for all. We consider the safeguarding of minors and vulnerable adults to be an integral part of the mission of the Church, one firmly rooted in our belief that each individual has a unique worth created in the image and likeness of God. The Church’s care for victims/survivors of abuse and their families is a primary consideration in this mission. By listening attentively and sharing experiences with them, our Commission has benefitted greatly from all that survivors have offered to us. Other points of emphasis have been programs of education and training, especially to Church leaders, and assisting local Churches to develop and implement their Guidelines for the protection of minors and vulnerable adults. 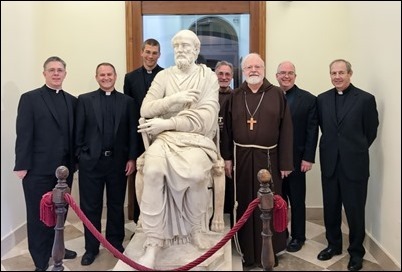 These efforts are effective ways to take the “best practices” developed in different places and to share them with bishops, religious superiors, and with their conferences, especially those with fewer resources. Two of our members will now share with you, Holy Father, an overview of the various projects undertaken by our six “Working Groups” over the past year. Sister Hermenegild Makoro, CPS is the Secretary General of the Southern African Catholic Bishops’ Conference and Mr. Bill Kilgallon is the Director of the National Office for Professional Standards of the Catholic Church in New Zealand. Following today’s meeting, we will meet together in plenary assembly to continue these projects and prepare the recommendations we will offer to Your Holiness as a result. Because we are concluding the initial three-year mandate we have received, we will also offer recommendations for continuing the work of the Pontifical Commission for the Protection of Minors and for renewing our membership with representatives from Churches in different parts of the world. 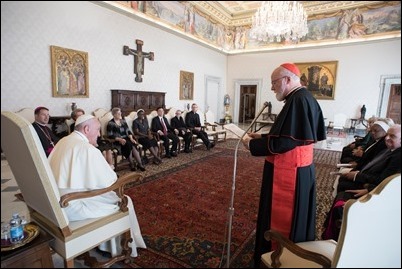 May I conclude by expressing, Your Holiness, my own sincere appreciation for the generosity that has been expressed by each of our members in their service and in the expertise that they have brought to their work. And on their behalf, may I also express how much the leadership You continue to provide, Holy Father, truly acts as an inspiration and a profound encouragement to us. Your commitment to “zero tolerance” for sexual abuse, to transparency and accountability, and to making every change that is needed in our Church enables us to carry out zealously the mission entrusted to us. Please be assured of our prayers for you and for your apostolic ministry, especially for the many ways you bring the Gospel message to the poor and to those who are most vulnerable among us. I give you a warm welcome at the beginning of this Plenary Assembly. In particular, I would like to thank Cardinal O’Malley for his kind greeting while expressing to you at the same time my sincere appreciation for the reflections that in your name, Mr. Hermengild Makoro and Mr. Bill Kilgallon have presented. They have expressed very well the role I thought for the Commission when I formed it three years ago, a service that I hope will continue to be of great help in the coming years for the Pope, the Holy See, the Bishops and the Major Superiors of the whole world. Gathered here today, I wish to share with you the profound pain I feel in my soul for the situation of abused children, as I have already had the occasion to do recently on several occasions. The scandal of sexual abuse is truly a terrible ruin for the whole of humanity, and which affects so many vulnerable children, young people and adults in all countries and in all societies. It has also been a very painful experience for the Church. 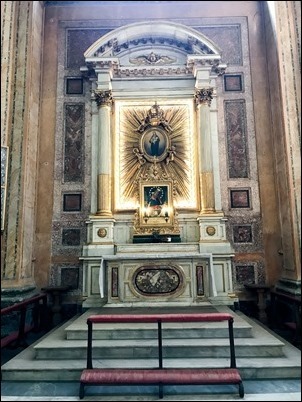 We feel shame for the abuses committed by sacred ministers, who should be the most worthy of trust, but we have also experienced a call, which we are sure comes directly from Our Lord Jesus Christ, to take up the mission of the Church for the protection of all vulnerable minors and adults. Permit me to say with all clarity that sexual abuse is a horrible sin, completely opposed and in contradiction to what Christ and the Church teach us. I have had the privilege, here in Rome, to listen to the stories that victims and survivors of abuses have wished to share. In those meetings, they shared openly the effects that sexual abuse has caused in their lives and in that of their families. I know that you have also had the blessed occasion to take part in similar meetings, and that (such meetings) continue to nourish your personal commitment to do everything possible to combat this evil and to eliminate this ruin from among us. Therefore, I reiterate once again today that the Church will respond, at all levels, with the implementation of the firmest measures to all those that have betrayed their calling and have abused God’s children. The disciplinary measures that the particular Churches have adopted must be applied to all those that work in the Church’s institutions. However, the primordial responsibility is that of the Bishops, priests and Religious, of those who received from the Lord the vocation to offer their lives to service, including the vigilant protection of all vulnerable children, young people and adults. For this reason, the Church will apply irrevocably at all levels the principle of “zero tolerance” for the sexual abuse of minors. 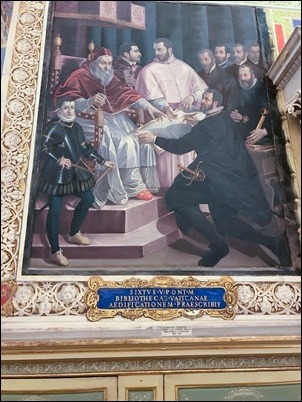 The Motu Proprio As Loving Mother, promulgated on the basis of a proposal of your Commission and in reference to the principle of responsibility in the Church, addresses the cases of diocesan Bishops, Eparchs and Major Superiors of Religious Institutes that, due to negligence, have engaged in or omitted acts that were able to cause grave harm to others, whether it is physical persons or a community as a whole (Cf. Article 1). 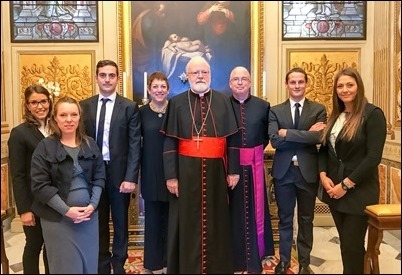 Over the last three years, the Commission has emphasized constantly the most important principles that guide the Church’s efforts to protect all vulnerable minors and adults. 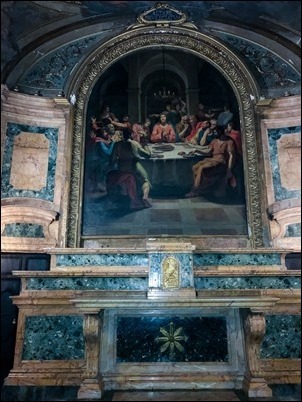 Thus it has fulfilled the mission that I entrusted to it as “consultative function at the service of the Holy Father,” offering its experience “in order to promote the responsibility of the particular Churches in the protection of all vulnerable minors and adults” (Statute, Article 1). I was filled with joy to learn that many particular Churches have adopted your recommendation for a Day of Prayer, and for dialogue with the victims and survivors of abuses, as well as with representatives of the victims’ organizations. 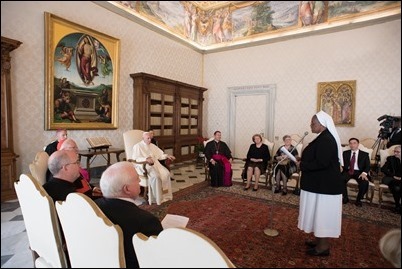 They shared with us how these meetings have been a profound experience of grace worldwide, and I sincerely hope that all the particular Churches will benefit from them. 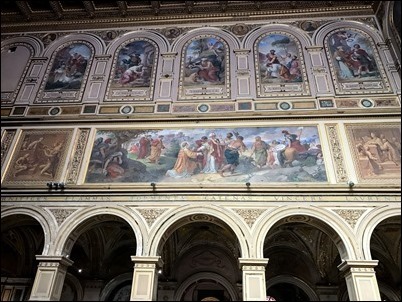 It is also encouraging to know how many Episcopal Conferences and Conferences of Major Superiors have sought your advice in regard to the Guidelines for the protection of vulnerable minors and adults. Your collaboration in sharing the best practices is truly valuable, especially for those Churches that have fewer resources for this crucial work of protection. I would like to encourage you to continue your collaboration in this work with the Congregation for the Doctrine of the Faith and the Congregation for the Evangelization of Peoples, so that these practices are enculturated in the different Churches worldwide. 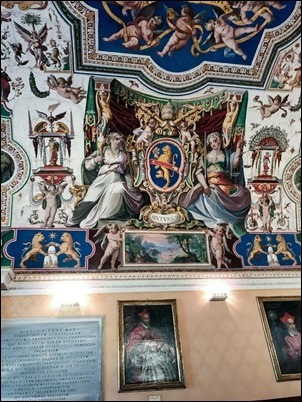 Finally, I would like to praise with special emphasis the numerous opportunities of apprenticeship, education and formation that you have offered in so many particular Churches worldwide and also here in Rome, in the different Dicasteries of the Holy See, in the course for new Bishops and in various international congresses. 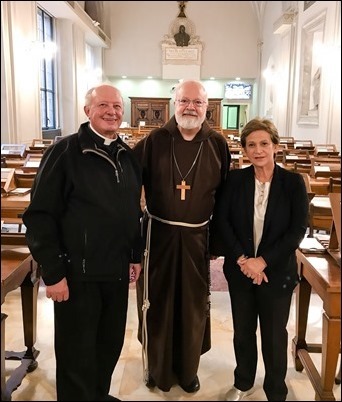 I’m pleased with the news that the presentation that Cardinal O’Malley and Mrs. Marie Collins — one of your founding members – made last week to the new Bishops was received so favorably. 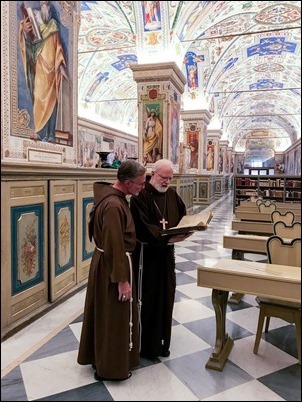 These educational programs offer the type of resources that will enable the Dioceses, Religious Institutes and all Catholic institutions, to adopt and implement the most effective materials for this work. The Church is called to be a place of mercy and compassion, especially for those who have suffered. For all of us, the Catholic Church continues to be a field hospital that accompanies us in our spiritual itinerary. It’s the place where we can sit with others, listen to them and share with them our struggles and our faith in the Good News of Jesus Christ. I am fully confident that the Commission will continue to be a place where we can listen with interest to the voices of the victims and the survivors, because we have much to learn from them and from their personal stories of courage and perseverance. Permit me to thank you once again for your efforts and advice over these three years. I entrust you to the Most Holy Virgin Mary, the Mother who remains close to us throughout our lives. 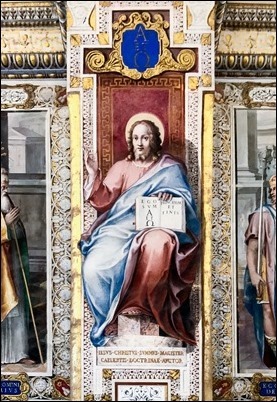 I give you all and our dear ones the Apostolic Blessing, and I ask you to continue praying for me. During the times between meetings, I have had an opportunity to some visit sites that I would like to tell you about. 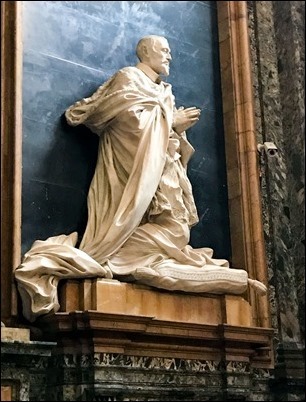 On Saturday I went to the Basilica of St. Damasus and St. Lawrence, which is known as the Basilica di San Lorenzo in Damaso. 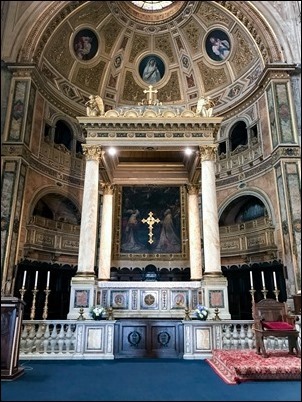 The original church was largely demolished and built upon to construct the Palazzo della Cancelleria, the Vatican chancery, in the late 15th century. 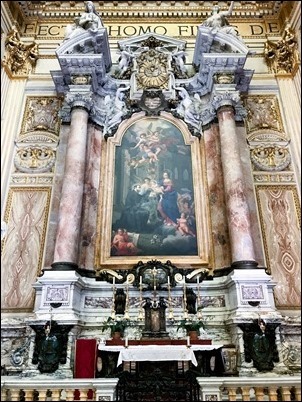 The present basilica dates back to that time. 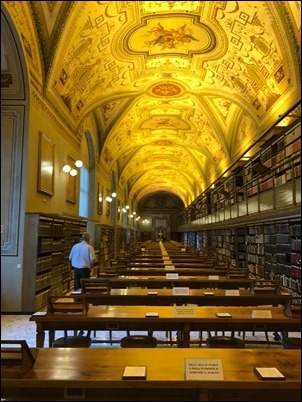 I also had a chance to visit the Vatican Library. I had actually never had the chance to see it. So, when Msgr. 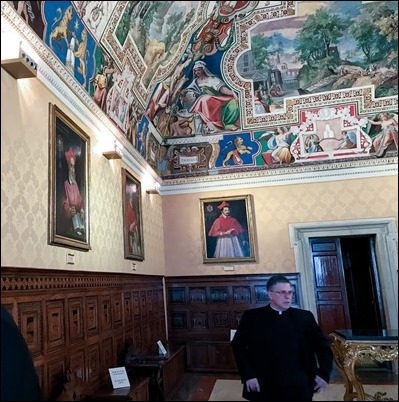 Larry Spiteri, a priest of Los Angeles who is in charge of the Legal Office of the Vatican Library, invited me, I was happy to take up the offer. With Dr. Luigina Orlandi, the director of the Office of Institutional Advancement for the Vatican Library and Msgr. Spiteri. When he said he would arrange a tour, I invited my friend Bishop Donald Lippert who is here from Papua New Guinea, as well as several Boston priests who are currently in Rome — Father Dan Hennessey, Father Bob Blaney, Father Bob Kickham and Father Michael Zimmerman — to join me. With the Boston group in front of the statue of St. Hippolytus. 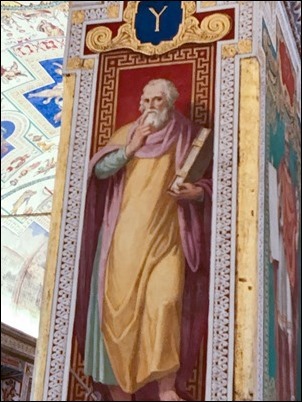 St. Hippolytus was a martyr, and he is the one who wrote the second Eucharistic Prayer, which is, in fact, the oldest of all the Eucharistic Prayers. 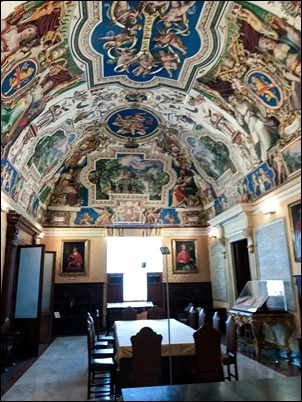 It was a fascinating experience, and each room is more beautiful than the next. 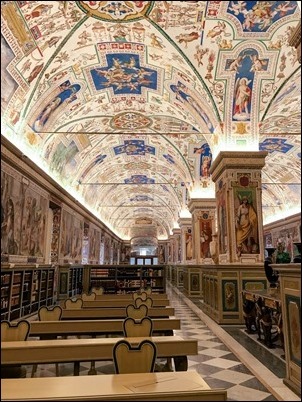 The Vatican Library is just one indication of the way the Church has protected and safeguarded the patrimony of humanity. 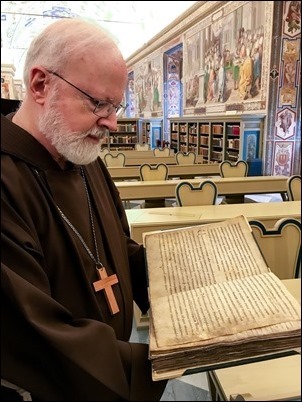 There are over 1 million books, but more significantly, over 80,000 ancient manuscripts, including the oldest copies of the Bible and correspondence from great figures in history. 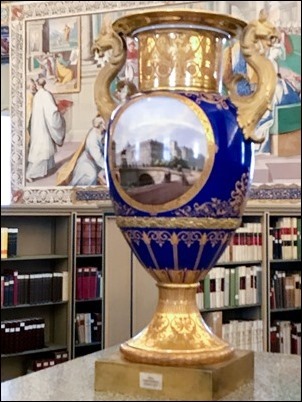 Not only is the collection is open to scholars, but the Vatican has committed to putting all the documents online so that anyone around the world can access them for research. 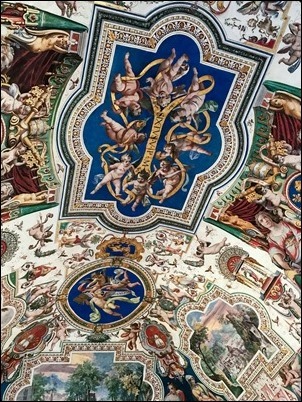 It’s a great service that the Vatican provides to our world. They gave me a book to look at written by Irish monks in the 700s. 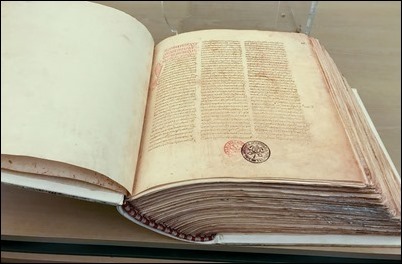 They also have a copy of the Codex Vaticanus, one of the oldest extant Bibles, which was commissioned by Emperor Constantine. 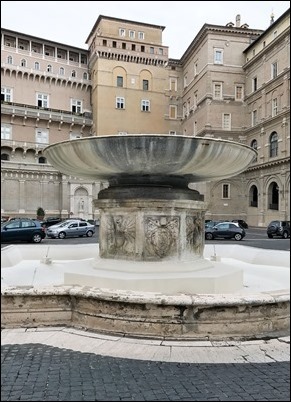 The Vatican library was founded by Pope Sixtus V.
This fountain, which is in the Cortile del Belvedere outside the library, was actually the font that Pope Sixtus used to use for baptisms during the Easter Vigil. 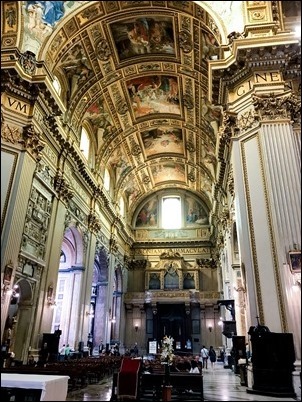 Also during my time in Rome, I had the opportunity to visit the Sant’Andrea della Valle, which is one of the most beautiful basilicas in Rome. 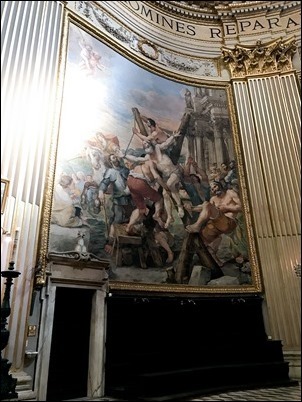 It is known for its impressive dome and includes images of the martyrdom of St. Andrew and St. Andrew’s Cross. As we wind down our meetings of the Pontifical Commission, which concludes on Sunday, I look forward to being back in Boston on Monday.